We were offered free tickets to see Marvel Universe Live! in exchange for an honest review. All opinions are my own. 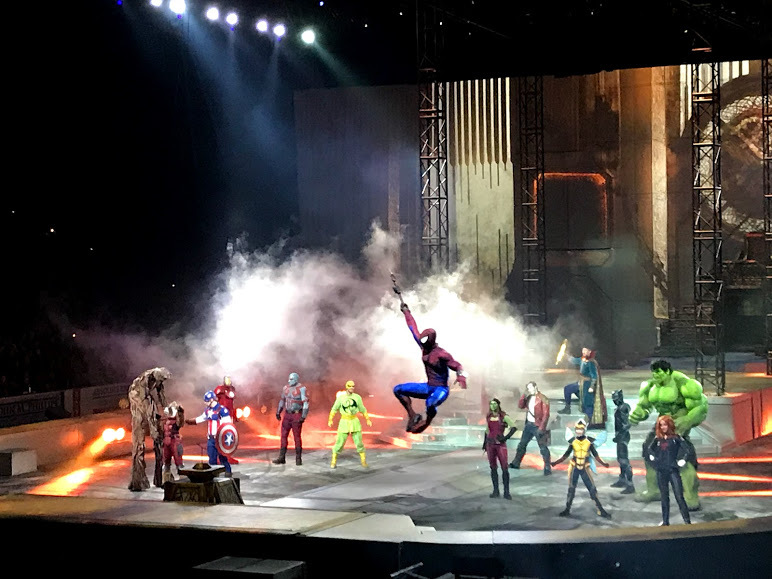 Marvel Universe Live is an action packed show that celebrates the superheroes we all know and love. This show is filled with fight scenes, high flying stunts and pyrotechnics. In addition, the projection style backdrop is impressive and really sets the scene for the whole show. The show incorporates popular superheroes including: Spiderman, Iron Man, Thor, Captain America, Black Panther, Guardians of the Galaxy, Black Widow and even Dr Strange. Everyone’s favorite is included. The show is loved by superhero fans of all ages. My father, husband and brother all enjoyed it just as much as my toddler. Gamora and Black Widow especially pack a super punch of girl power. Most of all, we particularly loved the motorcycles, fire and silk performers. 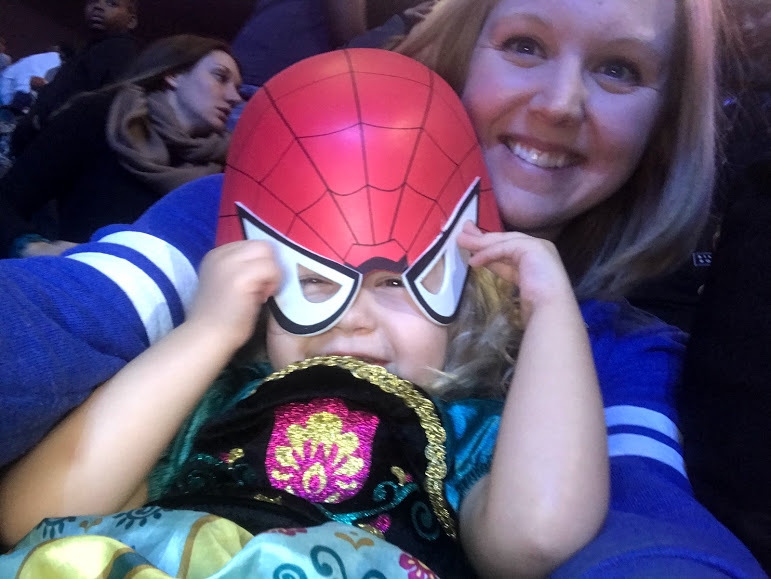 My little princess was excited to see Marvel Universe Live! 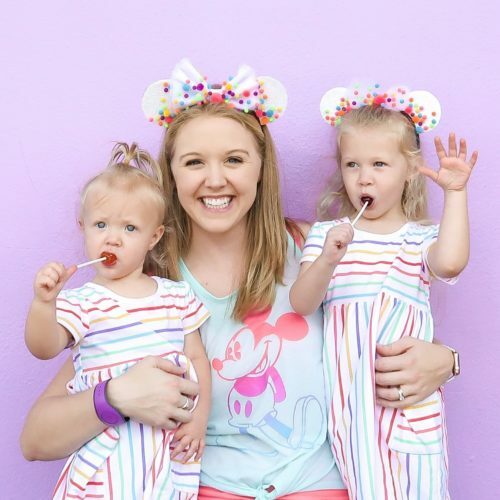 since we attended the behind-the-scenes experience last week, and it sure didn’t disappoint! 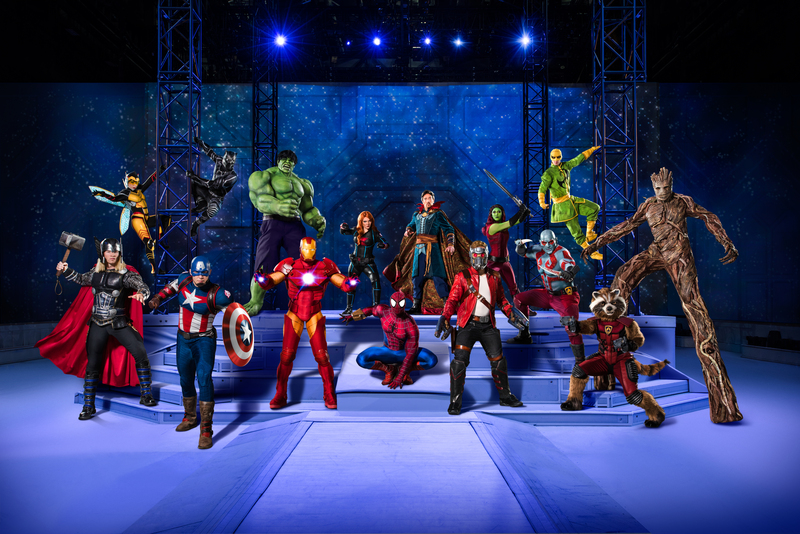 Don’t Miss Marvel Universe Live! 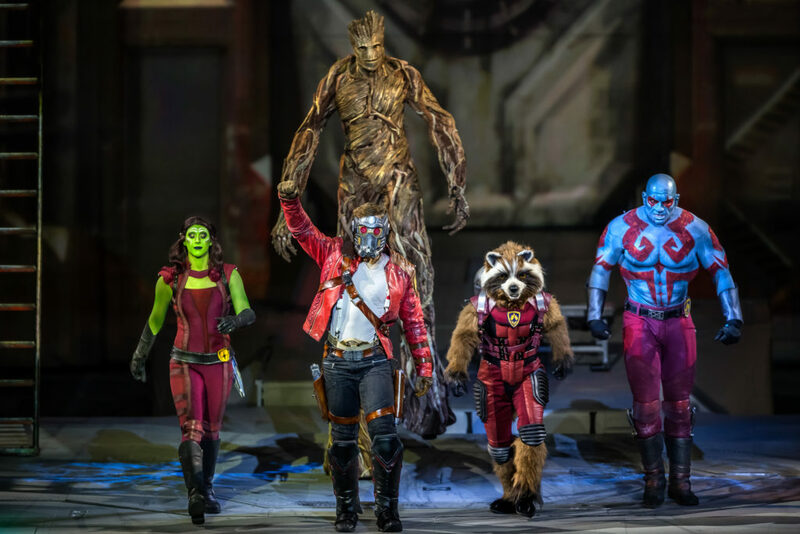 If you’re local, don’t miss the chance to see Marvel Universe Live! this weekend at the Veterans Memorial Arena. The show is traveling nationwide so check here for showtimes in a city near you.